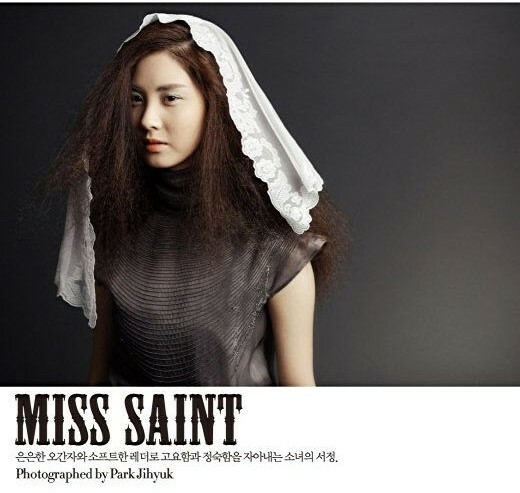 A new pictorial of Seohyun shot by Park Jihyuk has recently surfaced. Most of you guys probably won’t know,Jihyuk is a famous photographer who has shot other famous celebrities such as Lee Hyori and Lee Chun Hee before. Let’s check out the photos! Personally i don’t really like the pictorial as Seohyun really looks just weird. hahahah!!!!!!! it makes her so weird!!!! Seobaby is doing her best!!!!!! I agree too, what’s w/ her hair… she looks old here, not the babyface Seohyun that I know… this Park Jihyuk has a weird concept, he could have made Seobaby’s image simple and fresh. hyunbaby looks fabulous. she looks very pretty. her face never gets old. love ittt. ❤ cant wait for the next ep of wgm. 😉 SoShi fighting!! I like the Victorian concept. Makes her look older unfortunately, but also makes her look worldly and powerful.